For master bassist Robert Miller what matters most is the music. Oh he’s intrigued with how to make the business of music work and can speak lucidly about it. He has wrangled with how to find the best and widest audience for his group, Project Grand Slam, and its unique blend of Classic Rock and Latin reframed into the mold of jazz rock fusion. And it’s a severe understatement to say that he’s a multi-hyphenate or defier of genre classifications. With that in mind he is faced with the professional and creative conundrum of being caught in the middle; is PGS rock or jazz? ; should the music be genre specific or totally distinctive? And in turn, when the music becomes too difficult to label it may be harder to find the right audience. The bottom line, though, is that his music is special and not just like everything else out there. Thankfully, in a very wide world filled with online discoveries and digital communication there is definitely an audience for PGS. I think a big audience. They’re out there, in the U.S. but also in Brazil, Mexico, the Czech Republic, South Africa, etc. And that’s what makes seeing the band live such an enriching experience as it sometimes shifts and changes in its live form — that international experience is right there in the band. Miller has assembled what he jokingly calls his International Cartel – a group of young, extremely talented musicians mainly from overseas. Places like Puerto Rico, Italy, Mexico, Brazil, Canada, and Dominican Republic. Together, they take Miller’s compositions and his brilliant Classic Rock covers, and transform the music and transfix the listener. Witness the recent permutation of the band when it performed material from PGS’s latest album, “The PGS Experience”, at its recent CD release party at NYC’s Rockwood Music Hall. The ensemble that night was comprised of Ziarra Washington (vocals), Mario Castro (sax), Baden Goyo (keys), Tony Greco and Flavio Silva (guitars), Ruben Coca (drums) and Carlos Maldonado (percussion) in addition to Miller on bass, and they absolutely knocked it out of the park. Just listen to their version of Jimi Hendrix’s “Fire” off the disc with Ziarra kicking out the lead vocals and you’ll immediately “get” PGS. When that’s replicated on stage it’s worthy of global embrace. So such an aural experience warrants pulling back the curtain a bit and asking band leader Miller to explore how he does it. Q: What’s the process behind your music? RM: For me it all starts with the rhythm and the groove. I fiddle around until I come up with something I like. And it must have a memorable melody because people respond to and remember great melodies. Next I add the colors – the sounds that fill in the cracks and make the musical painting come alive. Then I decide what solos I want to have in each case based upon the instrument and the song. I rarely have more than two solos per tune. I choose an instrument because I want that specific sound, I want that timbre. For example, on our version of The Kinks’ “You Really Got Me” we have a sax solo followed by a guitar solo. I felt that I had to have a guitar solo in there. The Kinks were the forerunners of grunge. They were the hardest of hard rock back then. I mellowed out their song a bit in my arrangement but I also wanted to get back to what it was that made that song great, so that’s why I put the guitar solo in there. And it works – even Dave Davies of The Kinks said so! On our version of Jimi Hendrix’s “Fire” I gave the keyboard a solo. Why? Because given Hendrix everybody expects it to be a guitar solo, and I didn’t want to have the guitarist be compared to a god like Hendrix. I wanted a different sound, a different feel. Again, I think it worked. Q: You write mainly instrumentals. Do you compose vocal songs too? RM: I’ve written only one vocal song to date called “New York City Groove.” It was a big challenge for me because I’m much more comfortable writing instrumentals. But vocals are a big part of the PGS experience so I felt that I needed to write one. So I finished the music in about 10 minutes. Then I decided that I wanted to make it a vocal. My difficulty is that I'm a music guy not a lyrics guy. The music may have taken me 10 minutes but the lyrics took me a week! When you write lyrics you have to have a thought in mind as to what you want to say. RM: I know! I listen to the words in songs but I rarely think much about them. I focus more on the sounds. You know that great Dylan song “Subterranean Homesick Blues”? The one that goes “Johnny’s in the basement mixing up the medicine…” I loved the sound of that word poem. John Lennon also used to string together words as sounds. Just listen to “I Am The Walrus”. Q: You told me there were two songs that you didn’t rehearse before your recent performance at American Beauty in NYC. What were they? RM: One was “Lucky Seven” from our last album, “The Queen’s Carnival”. The tune is in 7/4 time. It starts with a bass figure and then the sax comes in with the melody. My sax player Mario is an amazing musician but that night he totally spaced on the tune and it took him about a minute to get it right. Meanwhile he was playing all around the melody. But what came out was really interesting. It had kind of a Middle Eastern feel to it. It was like a new song. I loved it! He was trying to work his way into the melody. And we’re playing live, so I can’t exactly stop him and say, “This is how it goes.” My point is I let him figure it out and work it out and it came out very cool. Of course, nobody in the audience would have ever known what I just told you. That’s one of the best things about doing original material! Q: Do you encourage your vocalist Ziarra to improvise? RM: Absolutely. I don't think we play any tune exactly the same way twice. She’s doing something different each time. The inflection, the rideout. We’re all doing something different. That’s what makes this music fun to play. Q: You do a cover of a Cream song. How did that come about? RM: I loved Cream. They were maybe my favorite band from the ‘60s. And I definitely picked up a lot on the bass from listening to Jack Bruce. We do a PGS-style cover of “I’m So Glad”. I felt that I needed to do a Cream song and people have asked me why that one. Well I didn’t want to choose something obvious like “Sunshine of Your Love.” I always loved how Cream played “I’m So Glad” in concert. I thought that I could take the essence of the song and do something different and interesting with it. Our version of the song is now one of the most popular tunes we do in concert. Q: Ginger Baker came out of a jazz background before Cream. RM: Yes and so did Charlie Watts of the Stones… For the last 60 years or so all Charlie has said he wanted to do was play jazz. I guess he plays rock and roll because it makes a him a ton of money! Q: What was the other unrehearsed song you played at American Beauty? RM: The other one we didn’t rehearse in advance was called “Beyond Forever”, also from our “The Queen’s Carnival” CD. The interesting thing about that song that night from my point of view was that Ruben, our drummer, came up with a slightly different feel for the song than on the recording. It made the song different, but again I loved it! Q: Did you tell Ruben to play it that way? RM: No I don’t tell anyone how or what to play. They’re all great musicians. I value and encourage their creativity. The main difference between what we do and pop music is that in pop the songs are played the same note-for-note each time they are performed, while with our music because it’s improvisational in all respects the songs are always different each time we play. And the different lineups of musicians that I use also changes the songs. Each musician brings his or her own feel and sensibility to the tunes so they take on a different character depending upon he lineup. Q: Ever thought of doing a workshop to teach how one of your songs comes together? RM: I’d love to do something like that! In fact, at the right venue I would bring in a brand new song and evolve it right then and there with the band in front of the audience like we do at a rehearsal. Q: Ever thought of doing more out-there instrumentation? RM: I’ve thought of doing plenty of things! I’d love to be experimental like that. I consider myself a rock musician that has brought jazz into what I play. I don’t have the same schooling or attitude that the pure jazz guys have. Q: What does a pure jazz bassist do that you don’t? RM: It’s more the attitude, not what they do that’s different. You’ll also notice that my music doesn’t include bass-only solos, or drum-only solos for that matter. Not my bag, and it changes the drive of the song, So I solo within the context of the song. People have said this - and I agree - I play “lead bass”. If you listen carefully to PGS it’s the bass that defines and drives each song. I’m not just laying a foundation. I’m filling gaps and doing my improvisation within the context of our jams. The great bass players that I admire, guys like Jack Bruce, Jim Fielder, Tim Bogert – also drove the music. I also don’t do all the gimmicky stuff like slapping and popping. And I don’t use pedals and effects. I have a certain distinctive sound that I try to maintain. I want people to recognize my playing and my sound. The great Jaco Pastorius had a distinctive sound. Q: I can’t imagine writing a novel as an improvisation. Jazz or other music you can do improvisation and it works. RM: This is what I do. Let’s use Cream again as an example. Cream had a framework for every song. A melody, a beat, chord structure, then they went off into improv land. Everything I do has a framework. I set the framework, the song has a feel, a vibe, a rhythm and a melody. I typically start with having the melody played twice in order to establish it. Then we do solos and we return to the melody a final time. It’s a classic way of structuring but I think people like to have a framework around music. My wife, who’s not a musician, yells at me whenever we play something that’s too long. Q: What does she consider too long? RM: Ten minutes is beyond her comfort level. She says nobody wants to listen to anything that long! Q: Are your kids musicians? RM: They’re not musicians but they love music and they’re big fans of PGS. Q: Tell me about the writing experience. RM: It’s mystical for me. Sometimes I write things and completely surprise myself. On the new CD I wrote a song called “Fishin”. It’s a Caribbean Island/Jimmy Buffet vibe kind of song. Where did that come from? I haven’t the faintest idea. I started playing a riff, I fooled around with it a bit, and all of a sudden something came out that had an Island vibe. Boom! I ask myself, “Do I like it, do I not like it?” If it passes the smell test I bring it to rehearsal and I play it for the band and we work it out. And this one worked out great. Same thing with “The Queen’s Carnival,” which was the title tune for the last album. A Latin song, a fiesta. I didn’t start out to write that but it just happened. Q: That was the one with the Latin feel? RM: Yes that was the Latin thing. I grew up in Queens NY. My father and I listened to Spanish music on the radio all the time. But I didn’t set out to write a Latin song, it just happened. And my guys – being mainly Latin – they made it work. Again, from my perspective those are the great unexpected things I love. It just happens and I have no idea where it comes from. Q: Do you ever imagine yourself not playing anymore? Q: They’ll bury you with your bass? RM: Yup – just me and my Pedulla!! Marcia Gloster lived through the actual Mad Men days, working in Manhattan advertising and publishing houses in the 1960s, an era in which women had very few opportunities to move ahead in the industry. Such a bottomless well of information and inspiration gave her the impetus to write her first novel, I Love You Today. A compulsive page-turner that introduces Maddie Samuels, who after being hired at a Manhattan firm promptly falls for charismatic creative director Rob MacLeod, who not only steers Maddie toward bigger and better things professionally but also drags her into his own personal problems: excessive drinking, womanizing and the little matter of his being a married father of two. Her experiences with and without Rob allow Maddie the wherewithal to climb her own ladder of success, professionally and personally, at a time when women were usually seen but not heard—and definitely not listened to. Gloster recently sat down to discuss I Love You Today, her opinion of Mad Men, and how she started writing books: her 2014 memoir 31 Days—A Memoir of Seduction recounts an affair she had in the summer of 1963 with a married British professor in an Austrian art school. Kevin Filipski: I Love You Today flavorfully describes a particular era: 1960s Manhattan, where male bosses pinched women’s behinds and no one thought anything was wrong. Along with your memories, how did you make the book so authentic? MG: I am very careful with my research. I have to mention the right movies during the right years: what year was Bonnie and Clyde, for example. When I mention a restaurant, I have to make sure that it existed at that time. The basics were in my memory obviously, because I lived it: unlike Mad Men, whose writers were probably born after that era. I lived that life, and discrimination was not in my vocabulary back then: it was just the way it was. The way men spoke to you was the way it is. Luckily, I worked with men who were respectful, but women had no voice at all. In London, where I worked at the time, there was a restaurant in the late ‘60s—I forgot the name of a hot Italian restaurant that was there. So I went on Google, but couldn’t find it. So I thought to myself, “Just make it up.” But finally I saw an article that mentioned it, and once I had the name (La Terrazza), it all came flooding back. KF: What is your own take on Mad Men? Was it accurate to your experience? MG: I actually wrote an article about watching Mad Men. I saw the first two seasons and thought they were interesting. Then when they concentrated more on Jon Hamm’s character Don Draper, it didn’t interest me that much. But I did watch the final season, and it was accurate in many ways, but there were other things they missed. I thought the costuming was terrible: we were all wearing mini-skirts, bright colors, stuff like that. It was totally “nerdville” on the show: plaids and stripes, which no one wore. There was a scene at a table where two women were having a meeting with two men, who were literally leaping across the table to try and paw the women. I didn’t think that was true, it was too exaggerated: in meetings men were not that blatantly sexist. KF: How close is Maddie to your own experience? MG: Maddie is based on me and other people I knew at the time. A lot of my experiences are in the early parts where she’s interviewing at the agency, where she’s told that she can’t be hired because then the men can’t swear. That’s true. You couldn’t make that up. When I was going for my first job in the industry, discrimination wasn’t in my vocabulary, and I thought that’s the way it is: all these guys like swearing! I actually lived those years. Many of my friends and I interacted with people in publishing and advertising on many different levels, so there is a lot of truth there. KF: Is Rob a composite of real men you worked with? MG: Rob is the epitome of the bad boy, and there have always been guys like him. There’s never been a dearth of bad boys. He’s a very attractive character, embodying the desire to grow and be really good at what he does, but he’s hampered by his upbringing in the ‘50s and so is unable to deal with the freedom of the ‘60s. I made him a little extreme in some ways, but you do see him evolve, and Maddie gets caught up in it even if she doesn’t want to because he’s her boss and a married man with children. But women get emotionally caught up in these kinds of situations. It did happen, a guy leaving his wife for someone he worked with, but he would often go back. I decided to them together because I felt they had a path they needed to tread together. He was supportive of her, she was supportive of him, but he is going to take credit no matter what. I think it’s a very typical story. KF: Although these events happened nearly half a century ago, there are certain headlines about certain companies today that makes it seem that the old boys’ networks have not changed much. MG: I always question whether things have changed at all. When I was finishing the book, all of the stuff at Fox News with Roger Ailes was in the news. There was also an article in the New York Times about women discussing the same thing. I wrote a blog about it and wrote a letter in response to the story in the Times, who published my letter. That said to me that what I wrote was still so relevant and evocative that I was blown away. I hadn’t been in an office in 15 years, so I wasn’t really aware that things hadn’t changed that much. It’s a hook that wasn’t meant to be a hook. KF: Your previous book, 31 Days, which explores your own affair while you were a college student with an older married British art professor, was only written a few years ago. Why did it take so long? MG: While I was in college, one summer I went to Europe with a friend. I knew that (artist) Oskar Kokoschka had an art school in Salzburg, and I thought that a summer month in Austria sounded pretty good. Kokoschka started a school because he wanted people to see the world in a different way. He would teach them how to see the world through watercolors. When I got there, there was this man, and I looked at him, and I practically dissolved. He was 17 years older, wasn’t gorgeous but interesting looking—and he exuded sexuality. My first thought was: “Stay away—don’t get involved, he’s a lot older and he’s English.” I promised myself I would avoid him, but I obviously didn’t keep my promise. It was an amazing story, and as it started to unfold, I started writing it down. It was so far from any reality I knew that I just took notes. Years later, I happened to be in a store and heard a song: it resonated, making me think back to meeting him. By the time I left the store, I had my title and the makings of that book. 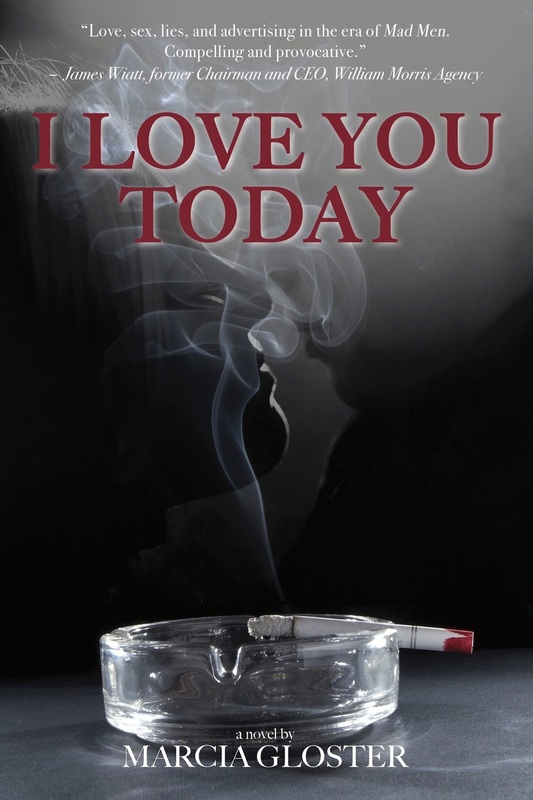 Marcia Gloster’s novel I Love You Today is out now. Dance music producer Tony Moran recently joined forces with Rock and Rock Hall of Fame recipient Nile Rodgers and singer Kimberly Davis to add another notch in his belt of accomplishments. The result was "My Fire" — a new song which premiered this week (with an accompanying music video.) Moran has been making records for a solid 30 years with a long string of successes attached to his resume. Moran has worked with and remixed some of the biggest female artists ever -- divas like Rihanna, Mariah Carey, Martha Wash, Cher, Madonna, Whitney Houston and Janet Jackson. “Perhaps my having worked more often with women has something to do with the dance market itself. I took a quick, informal look at Billboard’s list of ‘Greatest of All Time Top Dance Club Artists’ and noticed that women outnumber men there, too. Moran also co-wrote and produced over half of Estefan’s 1998, “Gloria!” — her most dance-oriented album ever. Besides being known for Estefan’s “Don’t Let This Moment End” and “Heaven’s What I Feel,” this two-time Grammy nominee was remixing other popular songs, too. In 2007, he twice achieved #1 on the U. S. Billboard Hot Dance Club Play chart. Those hits were “Walk Away” featuring Kristine W and “Keep Your Body Working” featuring Martha Wash, late of Two Tons O’ Fun. As if those weren’t enough, Moran produced other major dance club hits like “Put Your Hands Up”, “.” and “The Promise”. And we can’t forget “Body to Body, Heart to Heart” for Cher’s “Living Proof” album. In addition to his talent for pumping sounds, Moran creates a vibrant presence in any room. When the youthful, energetic music master strode into the room for our chat, his ripped arms gave the impression of a man with as much physicality as musicality. Maybe that physical acumen helps him as a touring DJ-performer. Currently considered one of the best known Dance music DJs, Moran plays to massive crowds at events worldwide. In the last several years, DJs have been transformed from remixer/producers into full-fledged live performers. DJs like Calvin Harris, David Guetta and Skrillix have become marquee names, achieving the stature of such band-oriented headliners as Imagine Dragons. And although Moran resisted it for a while, he has become another star to join this celebrated group. As he says from his home studio in Manhattan’s Chelsea neighborhood, “For 14 years I wasn’t spinning at all. It was only about a year ago that I decided to DJ again on a regular basis. I’ve always been a DJ but had focused for so long on studio work. “But after recording three albums in a row, I found myself essentially locked in my recording studio with only one or two other people. I realized I was becoming a hermit and became disenchanted with just that way of being. I was basically not seeing anyone except my boyfriend. Regardless of any monetary success, that solitary way of being was no longer fulfilling. Moran had re-discovered his own groove. He had first made his mark In 1981, when he teamed up with friend Albert Cabrera, to form the Latin Rascals, the legendary free-styling hit DJ duo. Their re-edited versions of hit songs enjoyed major air-play on New York City dance radio WKTU’s popular mix show. That exposure led to a deal with Shakedown Studios who hired them to restructure hit radio songs into viable dance club hits. Shortly thereafter, the duo was contracted by another studio, Fever Records, to write and produce a song for one of their new acts, The Cover Girls. The result was “Show Me” which not only became Moran’s first Top 40 gold record, but also helped usher in the freestyle music era. That success opened the doors for new artists including TKA, Sa-Fire (“Boy, I’ve Been Told”) and Lisette Melendez (“Together Forever”) — all of whom benefited from Moran and Cabrera’s skills. He adds, “I started as a DJ at Brooklyn Tech, my New York City high school. As a result of my own particular style of playing and of blending hip-hop with other music, things started happening and I began to receive attention. It must have been around 1980 when I started building my own club speakers from spare parts. And when I started doing block parties in Brownsville, Brooklyn, the crowds got bigger and bigger. The twice Grammy-nominated artist received what he considers a Harvard-equivalency education from dance music pioneers like Arthur Baker, John “Jellybean” Benitez, Shep Pettibone and Junior Vasquez. So he went to a college of a non-conventional sort. Moran measures a successful dance floor by the number of hands in the air as the crowd happily dances and sings along. He eschews the strict underground house mentality preferred by some of his contemporaries. Instead he imparts his remixes and productions with a hook-laden commercial appeal that’s both radio-friendly and dance floor-driven. A number of DJs don’t consider it cool to play vocals, seeing them as trivial, but Moran has consistently employed pop vocals in the music he’d written or produced. In January, Moran released Moodswings, a double CD set of his most definitive productions. In this package, he presents both his influences and musical experiences. On the dual CD’s 28 tracks (subtitled “Feel” and “Move”), Moran surrounded himself with an all-star team of players and singers including veterans Davis, Walker, Wash and Ryan Shaw. The project came together after Moran recruited Davis to work on a song for Moodswings, calling the singer "a rare talent in the realm of Whitney [Houston] and Mary J. [Blige]." Moran co-wrote the track with friends and collaborators Mike Greenly and Audrey Martells. Then Rodgers joined in after hearing a rough cut while Davis was touring with the Hall of Fame guitarist's iconic band. To her surprise, he expressed enthusiasm about being involved. "Of course, I said yes," added Davis. "Not only is he my boss but he’s also Nile Rodgers! No sane music artist would deny Nile being a part of their project." Adds Moran, “Nile is a true inspiration to the world in his ability to create and shape musical genres," "It was a thrill to work with him in the booth." The Patty Nieto-directed video for the song features behind-the-scenes footage of Rodgers, Moran and Davis recording the single, as well as Davis strutting her stuff in Times Square. Ruth’s Chris Steak House in Midtown Manhattan offers a quiet private room with shaded lightning — the perfect place for a power meeting, say with someone like Mike Greenly. But the 70-something Southerner is long past his executive power lunch days. A man of precise, confident words, Greenly is someone who has lived several lives and is much better for it. One wouldn’t be surprised to learn that he held key marketing positions at both Lever and Avon, mega-corporations that easily represent all that’s meant by mainstream America. But one would be surprised to hear that he threw that life aside to become an entrepreneur -- first, as a speech writer, and then, as a songwriter as well. The mustachioed multi-talent realized that to be happy he had to follow his passion. “I knew I was good with words and enjoyed what I did with them in the corporate world, but nothing was as satisfying as what I’m doing now.” And in doing so he is inspiring others. In the course of interviewing Shara, it came to light that she was still angry at a former manager who had taken advantage of her. The result was “Not Gonna Miss You” — written with composer Paul Guzzone. The song helped Shara express her feelings about the betrayal and move on to happier times. Before he turned to songwriting, Greenly jumped into the cyber revolution as an early proponent of digital communications. After his corporate stint, he formed the Transcoastal Electronic News Service (TENS) with two colleagues he met online – Sherwin Levinson in Atlanta, and Diane Worthington in San Francisco — and they pioneered online interactions. As far apart as they were geographically, their online activity made them a team. Typing on his then state-of-the-art RadioShack laptop, Greenly was in the reporter pool when tech super-guru Steve Jobs launched the Macintosh computer. He then became the first journalist to report on both the Democratic and Republican conventions and the Academy Awards, sending reports out online to readers who responded from around the world. 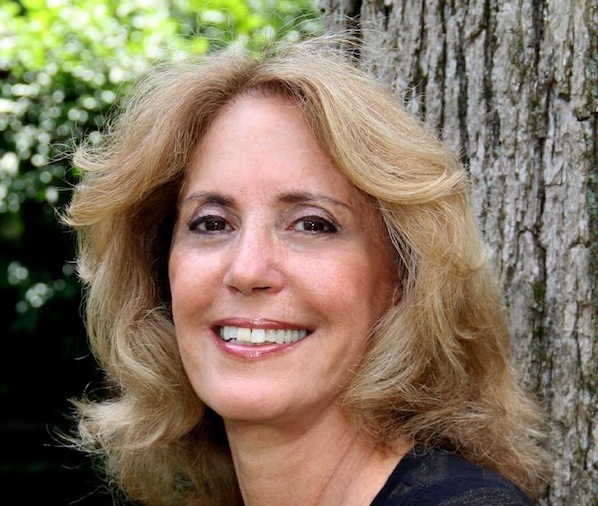 Greenly segued successfully into being a sought-after speech writer and coach — acquiring clients such as ExxonMobil, Google, IBM, Johnson & Johnson, New York Life, Novartis and Sanofi. Greenly’s assured his clients that he could help them “sound like themselves — only better.” And he still enjoys his speechwriting practice today. In the course of building his freelance corporate work, Greenly turned to songsmithing. His most successful hit so far has been “Say Yes” — written with hit dance-pop producer Tony Moran and performed by the talented vocalist Jason Walker. The song landed on Billboard’s U.S. Dance Music Charts as Number 1 in December, 2016. Greenly has had four other charted hits, with another song — “My Fire” — coming out late May, 2017. This one, too, is performed by Davis and was written with Moran and Audrey Martells. It features the guitar licks of iconic composer/producer Nile Rodgers, who founded the chart-topping disco-pop group Chic and was recently inducted into the Rock and Roll Hall of Fame. In addition to writing dance songs, the affable creator has written songs with choral composer Jim Papoulis, whose tune “Always My Angel" honored the victims lost at the Sandy Hook Elementary School tragedy in Newtown, Connecticut. Greenly also has worked with Guzzone on “Everything Happens for a Reason,” co-written and performed in Italian by tenor Michéal Castaldo. Greenly has authored or contributed to several books, including Chronicle, The Human Side of AIDS, about the start of the global health crisis of 30 years ago. He also contributed a chapter to volume 8 of “The Change” book series. Greenly’s chapter is titled, “From ‘Stage Fright’ to the Power of Authenticity.” In it, he explains shares some of the insights he uses in speech coaching his executive clients. Though Greenly admits that he “can barely change a light bulb,” it seems he has always had an affinity for words. He still remembers the first poem he composed at the age of four and — unusual, in his home town congregation — he wrote his own Bar Mitzvah speech instead of having the Rabbi write it for him. His Jewish experience in the South helped to shape who Greenly was and who he became. Being something of an outsider -- the kid who didn’t quite fit -- motivated him to learn how to fit in, almost too much so. “When I went to high school, I was determined to become popular and, indeed, was voted ‘Most Popular’ as a senior. The problem was, that persona was not the real me, just the identity I had invented to hide behind.